You have a lot of control over when you start to receive Social Security. 2. Can I Stop Receiving Social Security Benefits After Starting Them? 3. Can SS Retirement Benefits Be Stopped? The Social Security Administration, or SSA, gives you lots of control over when you can start receiving Social Security retirement benefits. The window to start receiving a check is eight years wide. Once the window opens, you can apply and start receiving benefits the next month. In certain circumstances, you can even delay applying and receive some retroactive benefits. For someone born after 1939, full retirement age is between the ages of 66 and 67. The exact month is based on your year of birth. Early retirement at a reduced benefit amount can be taken as early as the month you turn age 62. If the application for Social Security retirement is delayed past the designated full retirement age, the monthly benefit will increase up to a start of benefits at age 70. Retirement for Social Security can be delayed past age 70 without any further increase in the benefit amount. 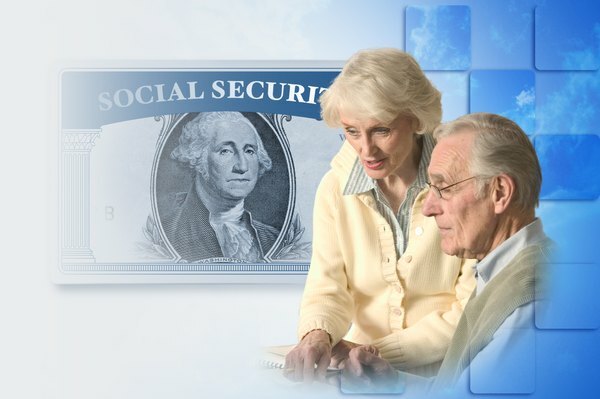 The earliest you can apply for Social Security retirement is three months before you turn age 62 to receive your first check in the month you become 62 years old. When you apply for Social Security after age 62, you can designate the month you want benefits to begin from the current month up to four months in the future. Social Security benefits are paid in the month after they are earned, so if you elect to start your retirement benefits for the current month, the first check will arrive next month. As a result, you can delay applying for Social Security on a month-to-month basis until the month before you want to get your first payment. If you delay the start of receiving Social Security after your full retirement age, you can elect to receive up to six months of back payments. The back payments can go as far back as your full retirement age. For example, if you apply for Social Security three months after your full retirement month, you can apply to receive those three months of missed, full retirement payments. If you are delaying the start of Social Security retirement past your full retirement age, the SSA website recommends that you apply for benefits at the full retirement age and then suspend the payments. If you do this, your spouse can then receive spousal Social Security payments if eligible. You will still receive the extra credit for delaying receipt of Social Security past full retirement, and you can restart your payments at any time. If you are delaying your Social Security retirement past age 65, remember to sign up for Medicare during the three months before you turn 65. Medicare eligibility starts at age 65. Delayed enrollment in Medicare can result in a delay of health care coverage until well past the enrollment date. Enrolling for Medicare offers less flexibility than applying for Social Security retirement benefits. The SSA website highlights on the delayed benefits discussion pages the importance of signing up for Medicare on time.